You’re welcome to include this Celebrate Learning Week graphic in resources and promotions of your event. Click for a hi-res version. 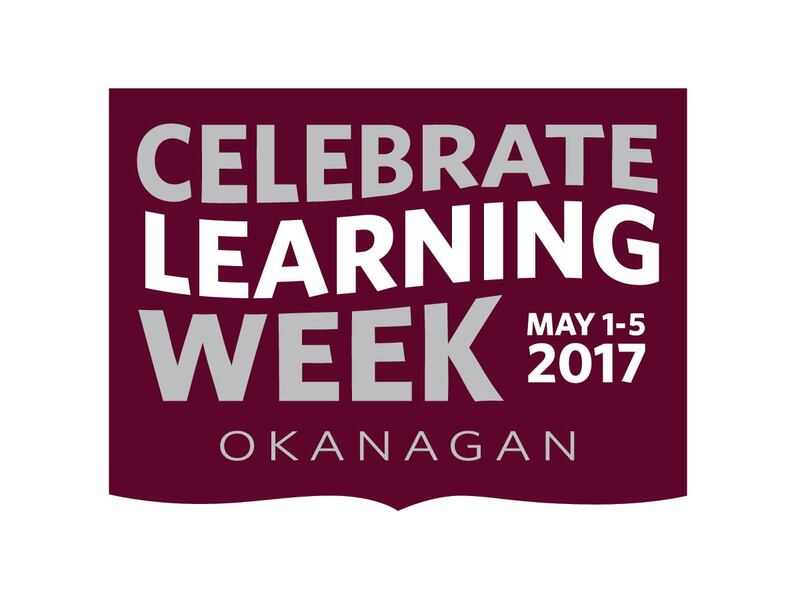 From Monday, April 30 to Friday, May 4, let’s celebrate learning at UBC Okanagan! Explore the future of teaching and learning at the LT Innovation Committee’s Innovation Summit. The day will feature talks and presentations by students, industry and academic leaders, and special guest speaker Dr. Joseph Aoun, President of Northeastern University and author of Robot Proof: Higher Education in the Age of Artificial Intelligence. Join the Okanagan Campus International Office for a one-hour presentation that outlines what it means to internationalize the curriculum and explores the benefits an internationalized curriculum can bring to your classroom and learners. We will review examples, consider common misconceptions, identify resources, and more. The presentation will conclude with the launch of a new seed funding opportunity to support faculty with internationalizing existing courses. "Creating _________ Space for Learning"
A "makerspace" is a collaborative work space inside a school, library or separate public/private facility for making, learning, exploring and sharing. UBC Okanagan makerspace was built through a collaborative effort by a number of faculty members from several units in mid March 2018. One of the unique characteristic of this facility is its multi-disciplinary attribute. The vision for the UBC Okanagan makerspace is to foster “Human centered Designing Thinking” by providing access to many tools and technologies including hand tools, 3D printers, CNC hotwire cutter, multi-axial CNC rotors, laser cutter, 3D scanner, electronics tools, computerized, sewing, embroidery and fabric cutting, modelling/simulation tools, etc., to students cross campus. This environment encourage students to collaborate, to innovate, and to invent. What if we were to talk about it? Engaging in controversial topics in the classroom? Against a background of societal divisions and growing tensions, the classroom can become a site for expressions of deep differences. As instructors we may witness an emotional flaring up of conflict among the students in the classroom, or we may face serious challenges to our own ideas, subject matter or ways of teaching. Often we experience these as comments that come from the left field: the racialized students who criticize the euro-centrism of our course readings, the religions students who object to conversations they see as contradicting their beliefs, the climate change deniers and those who wonder out loud whether colonialism might have been well-intentioned. There are many reasons – ethical and pragmatic – why as instructors we may decide not to engage these conversations within our classrooms every time they arise. “We don’t talk about that here,” we may find ourselves saying. But there may be others times when it is appropriate to “talk about it”, and the main limiting factor is our skill and capacity for facilitation or containing such conversations. This experiential workshop introduces participants to a tool for engaging controversial topics, should they choose to do so. Presentation will be followed by a conversation about if, how and when we might use such a tool. Dr. Aftab Erfan joined the UBC Equity and Inclusion Office in March 2017 in the newly created position of Director, Dialogue & Conflict Engagement. Within this role, Aftab builds the social and institutional infrastructure to enable members of the UBC community(s) to work with their conflicts as they naturally and inevitably emerge. Previously, she spent four years working as an international consultant, professional facilitator and conflict practitioner, holding space for contentious conversations on four continents within the public, private, academic and non-profit sectors. She holds a Bachelor of Science in Environmental Sciences (and a minor in Fine Arts) from UBC, a Masters in Urban Planning from McGill University, and a PhD in Community and Regional Planning from UBC, where she has also taught graduate level courses since 2009. Her award-winning dissertation reflected on three years of action research in a small First Nation community on Vancouver Island. Learning Analytics is a useful tool for understanding course engagement and activity. This information enables better insight into, and assessment of, effective teaching and design methods as well as identifying specific areas of challenge and success for students. In this session we will review current research and provide an overview of UBC’s learning analytics pilot. The majority of this hands on-workshop will focus on identifying opportunities and areas in which learning analytics can support you, as an instructor, in improving teaching, learning, and engagement in your courses. This workshop will serve as an entry point for longer engagement with the UBC Learning Analytics project. Participants will explore the types and kinds of teaching and learning practices that could be improved through the use of learning data and engage in a design process to develop and generate new and innovative proposal ideas. As a specific outcome, we would like to help support faculty at UBC-O to generate new and innovative ideas to make use of Learning Analytics in the upcoming academic year. We would particularly like to explore instructor or student centered uses of analytics with a particular emphasis on improving the student experience. Promising and feasible ideas from this workshop will be invited to engage in the UBC Learning Analytics project, during which we will offer expertise and development efforts, guided by your needs, in order to support your desired project. Develop new and innovative ideas that could be developed into proposals for the UBC Learning Analytics pilot.